What do you know about statistics? Are you a business student? Are you a manager of some company? Do you want to be an economist? If yes, this course is for you. Principles of statistics are the basics of economics. Most of the time, people find such courses very boring and difficult. In fact statistics is really a boring thing. In this book you will hear that the whole course is detailed in an easy-to-understand way. While having a cup of tea, study it and get to know all about the principles of statistics. In simple words, it is a complete course that will help you understand the principles of statistics. What would have made Basics of Statistics Explained better? It would be better if this audiobook would explain the basics of statistics. This audiobook does not do that. It simply lists terms and 'defines' them. No attempt is made to actual educate the listener as to the purpose or implementation of the theories. Would you ever listen to anything by Can Akdeniz again? What didn’t you like about Saethon Williams’s performance? He would need a better text to read. I don't really think its fair to judge his performance in this scenario. Concise. Rinse 'n repeat to get basics down fast. Very good purchase for those wishing to set foundation fast with no fluff. A complementary resource for those just starting with stats. Specifically, I listened to this in the car over and over again to maintain a broad grasp of the basics and used text books and videos to dive deeper into specific topics of interest and need. Quick summary of Statistics. You may be left wanting if you are looking for details. Great brush up on Basic Statistics! 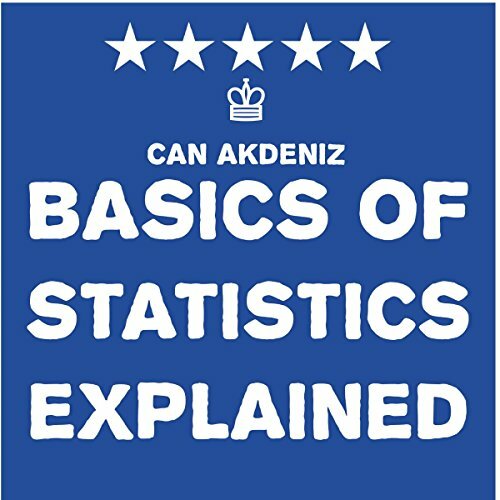 Great brush up on Basic Statistics! The Narrator has very clear diction. And the arrangement of chapters made it easy to understand everything. Excellent resource for a refresher of basic statistics. Uncomplicated definitions of populations, parameters, confidence intervals, contingency tables, sampling distributions, descriptive statistics, etc are given. The narration covers a lot of material in forty-five minutes. Well worth the time spent listening.